The Core is a powerful responsive WordPress multipurpose theme from ThemeFuse developer club. After long so long ThemeFuse has been released to use this theme for multiple industry websites. They have done 10+ different WordPress themes from 1 start of The Core WordPress Theme. It is built on powerful Unyson Framework, which is a free open source WordPress framework developed by ThemeFuse developers. It has been come with plenty of features to create out of box website for your clients / customers. Moreover the new Visual Page Builder and a multitude of shortcodes that you can use to create basically any page you can imagine. This theme has been built with The Core WordPress Theme. You can build a perfect online footer store or restaurant based websites. 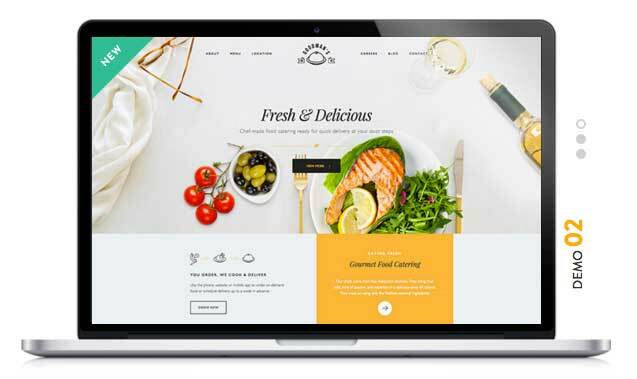 Even you can create catering services, cooking, food blog or anything that related to food websites. 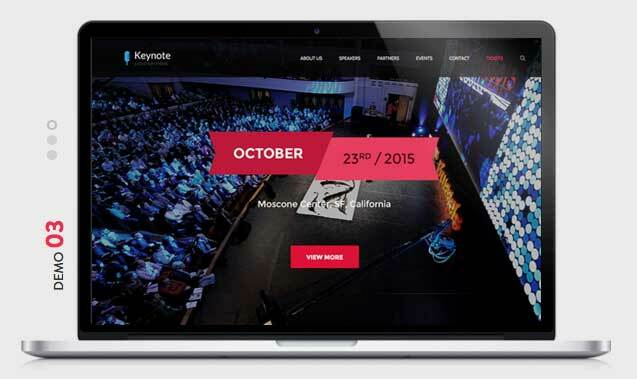 KEYNOTE Events Theme is another WordPress design has been created using the Core theme. This demo has been created to use for events oriented websites. This theme will help you to sell your tickets, showcase events of upcoming or current events all around the world. All you need ideas to create a unique desired website, which can be done using the Core WordPress Theme. 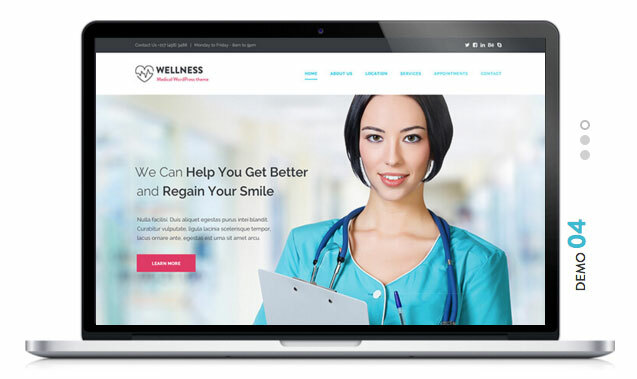 WELLNESS Medical Theme is made it from the Core WordPress Theme. This demo can be used directly to medical, hospitals, clinics, doctors and wellness related websites. You will find all medical related presence for your visitors, such as Font Awesome icons, medical bag, doctor symbols and many more. 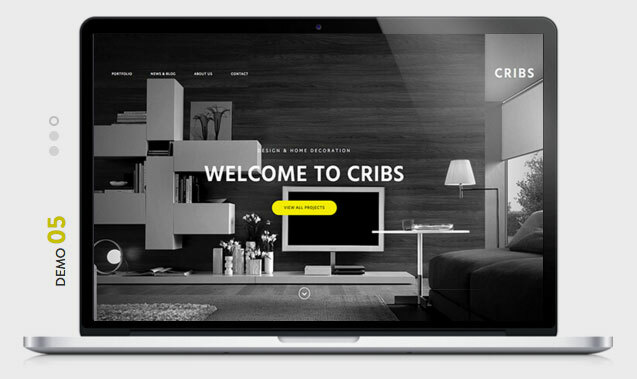 This theme is perfectly designed to use for architecture-oriented websites. For example, you can use directly for studios, interior design companies, furniture or anything that related to architecture websites. COLLEGE Education Theme demo is direct can be used for education related websites. For example, it would best fit for colleges, academics, universities, school, non-profit organization and anything that related to educational. THE CHATTER Magazine Theme demo is made it use for blogging / magazine websites. The design is simply awesome and visually interesting to surf the content shine among the visitors. 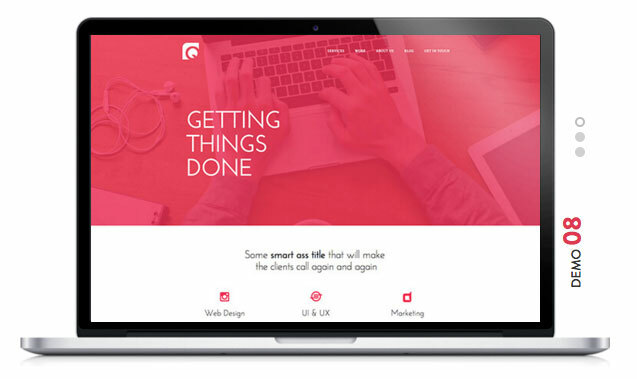 QUANTUM Agency Theme is another demo from The Core WordPress Theme. This demo can be used for showcase portfolio works, corporate companies or fashion related websites. The design is really gorgeous and colorful to display your work and impress the visitors. It will create a creative vibe among the visitors! 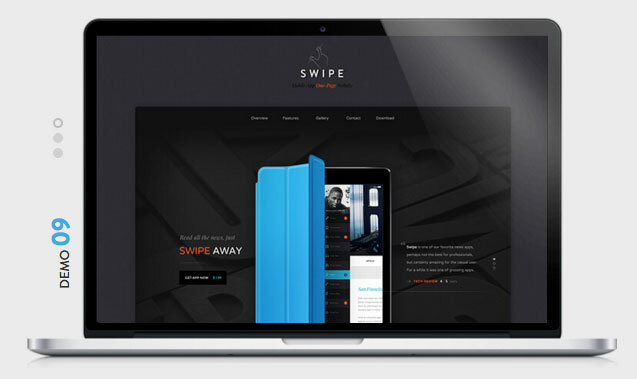 SWIPE Mobile App Theme demo has been created with One Page WordPress design from the Core theme. You can use web design for promoting your mobile apps/applications, software or any new product launching website. 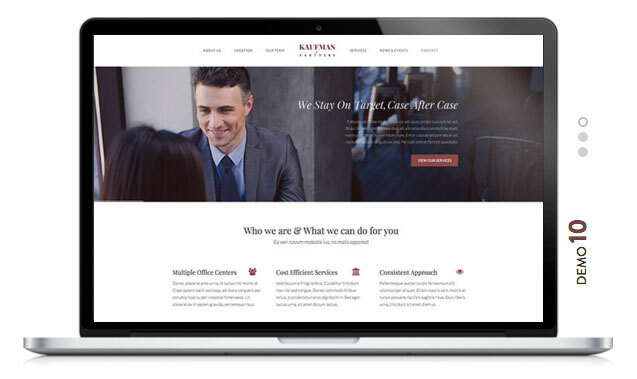 KAUFMAN Lawyer Theme is another great demo from The Core WordPress theme design. This theme is dedicated to lawyer firms, attorney and court oriented websites. This is a free open source framework to use directly to your website. It will help you to create any kind of website as you thinking ways! All you need to do is, just clicks and drags. There are plenty of options have been included with The Core WordPress Theme. 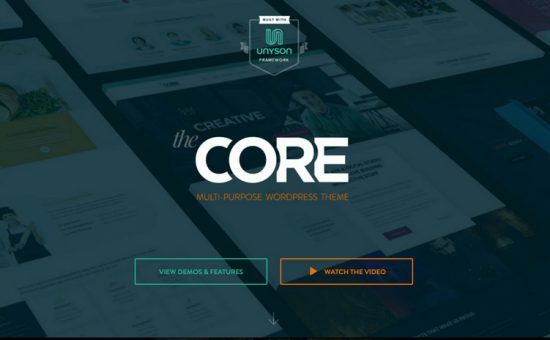 Since it has been designed with the Unyson framework, you will find the lots of ways to create a unique website. Simply use the widgets to drag and drop to create your website. You can use the desired elements widget that where you’d like to display on your sections. Some of the custom elements have been included below. You can build any number of sections and columns from the layout tab and fill them with design blocks found in the content elements sections. The Media element tab will be having media oriented elements to use, such as Video integration, Image/ Galleries, Image box and etc. The Content elements have a portfolio, list, map, and accordion, call to action button, icon box, table for pricing, text block and much more. The header section of The Core WordPress Theme comes with 4 header types and 3 footer variations. You can display the desired items in those sections, such as social media profile links to your business, custom HTML code, custom text, retina logo of your business, main menu and search bar field. Loaded with demo content that helps you to easily alter the content and insert your web contents. Responsive and Retina ready! It supports to work on all popular smartphones and modern browsers. Create an online store website with WooCommerce plugin. The design to showcase the product has been customized to display, as it looks amazing. Loaded with tons of shortcodes to use directly on your web posts, widgets and pages. The Core Theme comes with multiple layout options, hence you can easily use the drag and drop page builder to build countless layouts. Support to Mega menu to display user-friendly and highly customizable drop-down menu. Advanced Typography and use any fonts directly from Google free web font collections. It is translation ready! Also free or premium plugins like WPML or any other plugin. Advanced in-built SEO options for posts, pages and categories. The portfolio comes with multiple types to display, such as 2, 3, or 4 columns as well as different types portfolio display blocks. Sticky Header menu bar is optional that can be changed easily from the theme panel option. It will help your users better navigation!